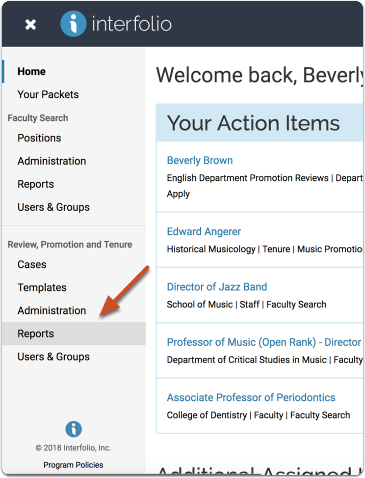 For institutions that have enabled committee voting, Administrators can run a report on the voting results of a case from the Reporting & Logs section of Interfolio Review, Promotion, & Tenure. 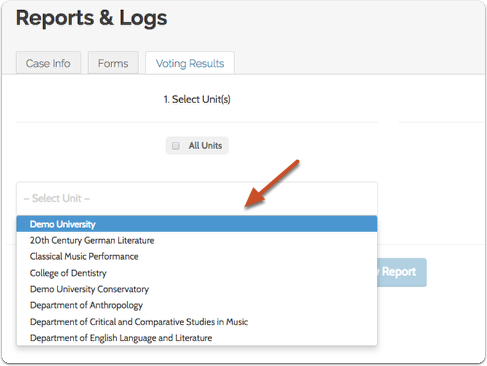 From the "Voting Results" tab of the Reports & Logs page, Administrators can access voting results for cases across an institution, and can view the results of all committees voting on a particular case. 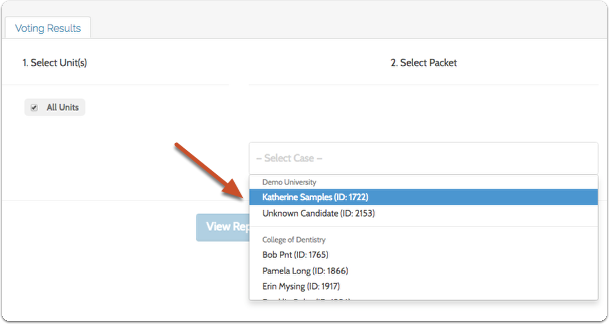 This article explains how to run a report on voting results for a case in Interfolio Review, Promotion & Tenure. The "Voting Results' report lists the results for all committees voting on a particular case in a particular unit. 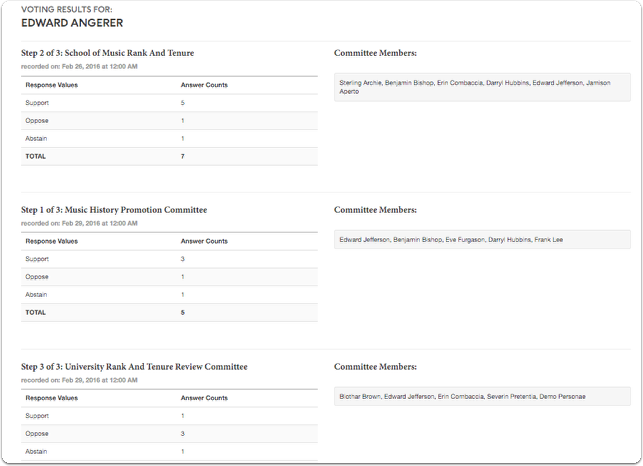 The names of voting members display but the names of committee members are not associated with the votes they cast.